The United States has the highest incarceration rate in the world and more than 60 percent of those inmates are African-American and Latino—despite the fact they make up only 30 percent of the country’s population. Often, their road to prison begins in the school system. Consider that 40 percent of students expelled in the U.S. each year are black and 70 percent involved in school arrests are black and Latino. The U.S. is also one of the few countries in the world where children are sentenced to life without parole. 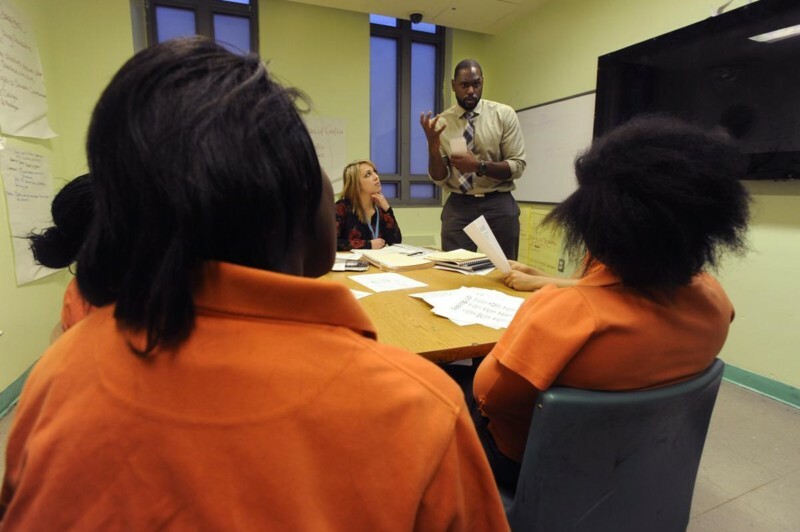 How did we get here and what will it take to dismantle the school-to-prison pipeline? Join WNYC, the American Justice Summit and The Marshall Project for a conversation about the present and future of juvenile justice in America, hosted by WNYC’s Jami Floyd. The panel will also consider the complex ethical questions surrounding the harsh sentencing of juveniles, and consider the case of a Louisiana man who threw one deadly punch when he was 16 and remains incarcerated two decades later, although an upcoming Supreme Court decision could give him a chance at freedom. His story was recently told in a collaboration between The Marshall Project and Mother Jones. Corey Johnson is a reporter with The Marshall Project. His previous work at The Center for Investigative Reporting triggered investigations and spurred California’s first law against coerced prison sterilizations. His reporting on deficient school earthquake safety also won national journalism honors and was a finalist for the Pulitzer Prize. Judge Jimmie M. Edwards is the 22nd Judicial Circuit Court judge in Missouri and the founder of Innovative Concept Academy in St. Louis. It is the only school in America overseen by a court system dedicated to the education and rehabilitation of delinquent teens. Dr. Bruce Perry is a neuroscientist and adjunct professor in the Department of Psychiatry and Behavioral Sciences at the Feinberg School of Medicine at Northwestern University. He is the founder of The Child Trauma Academy, a not-for-profit organization in Texas working to improve the lives of high-risk children through direct service, research and education. John Valverde is the Executive Vice President for Program Operations at the Osborne Association, where he oversees Children, Youth, and Family Services, Substance Use Disorder Treatment Services, Health and Wellness Programs, and Workforce Development units. His work with individuals with criminal records began in 1992 and includes a full spectrum of services, ranging from peer counseling for HIV/AIDS programs and GED instruction to alternatives to violence facilitation and teaching college level courses in the correctional setting. He is the co-founder of Hudson Link for Higher Education in Prison, Inc. John holds a Masters Degree in Urban Ministry from New York Theological Seminary.